Wildlife Consevation | "OUR WORLD"
The Bureau of Land Management has released the Environmental Assessment for the Fifteenmile Herd Management Area in northern Wyoming, proposing rounding up and removing wild horses down to the low end of the Appropriate Management Level, 70 wild horses, or 100 if the AML is adjusted up, but which would leave the herd at well below the number needed to maintain genetic viability, which is 150 adults. The Fifteenmile Herd management Area is a wild and remote place, consisting of 70,534 acres of public land, and it is 35 miles west of Worland. It is a starkly beautiful and, with mesas and buttes and hoodoos and red rock, and very few people visit the horses there. Trump Jr. shot and mutilated an elephant — and now his dad is rewarding him by making it so anyone can join the slaughter and bring home elephant body parts as souvenirs, even as ivory poaching threatens to wipe these amazing creatures out. We, the undersigned, hereby urge the Legislative Assembly of Ontario to publicly release a recovery strategy for the mountain lion (Puma concolor) by December 31, 2019. But there is something YOU can do. By signing this petition and giving us your support, you can show public servants that this issue matters to you. We hope to garner enough public support so that, combined with our letter, we will be successful in pressuring the provincial government to take action on the mountain lion’s dwindling numbers by the end of next year. 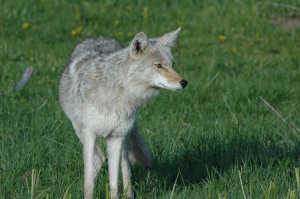 Help us make a difference to stop the provincial government’s continued neglect of one of Canada’s most iconic species. Check out this website to learn more! Recreational and commercial killing of foxes must not take priority over the health and the interests of the general public. Per the North American Fur Auction’s 2017 fur sale, red fox prices are down, with 100% of the offering selling for averages of $13-17. Very few grey fox sold at all. Also, foxes are not killed for food, so why are they killed at all when they offer the potential of helping Vermont fight its Lyme epidemic? Foxes face a host of dangers from predators, such as fishers and eagles, to human-caused mortality, including cars and landowners killing in defense of property. Fox’s populations are managed based on available food and habitat; their presence on our landscapes is much more valuable alive than dead. Vermont Fish & Wildlife has little to no data on the number of foxes who are hunted or trapped each year, including those foxes who are killed under the nuisance wildlife provision. The swift parrot isn’t as famous as some of its Australian relatives. Part of the reason could be because it’s so rare. In fact, it’s one of Australia’s most endangered birds, listed as — critically endangered in the IUCN Red List of endangered species. According to a study conducted in 2014, the species may face extinction by 2031 due to predation and loss of habitat. Yet despite that warning more than four years ago, the government of Tasmania has yet to implement measures that would halt the destructive logging that is devouring this beautiful bird’s home. Now conservationists are fighting back. Armed with a new study, they allege that the government is sitting on its hands while the old growth trees the birds rely on for breeding are slowly disappearing. Tasmania has had common sense management plans on the books for years. One that would ensure enough breeding habitat, for example, has been around for a decade. Yet, it hasn’t been put into action. This is inexcusable, Australia has recently won the undesirable title of the country with the highest rate of extinction worldwide. If that title is only met with inaction, then the chances of survival for dozens of endangered species struggling to survive Down Under looks dire. These parrots must be saved and the Tasmanian government must take action now to avoid disaster. Please sign the petition and tell Tasmania that they have a duty to save the swift parrot. Your signature can make a difference. The Fish Springs wild horses are managed through a community partnership that utilizes the PZP birth control vaccine to humanely reduce population growth in the herd. It makes no sense to round up and remove horses that are being successfully managed at no cost to taxpayers…. especially given that the round up, removal and storage of 45 horses in holding pens could cost taxpayers $1 million or more! Worse, given the BLM’s push for lethal management solutions, every horse removed from the range will be in grave danger of being killed or slaughtered. Last year Tess Thompson Talley flew to South Africa for a hunting safari where she took the life of what she called a “rare” black giraffe. But it wasn’t until recently that people noticed her sick trophy hunting photos on Facebook. Now animal lovers, conservationist and environmentalists alike are outraged. People want to know how anyone can get enjoyment from taking such a majestic creature. In the photos, Tess proudly poses in front of the giraffes barely dead body. It’s a truly disgusting sight. It’s time South Africa put an end to this horrible practice and create policies that actually protect their unique animal species. Please sign the petition and ask South Africa to ban trophy hunting once and for all. 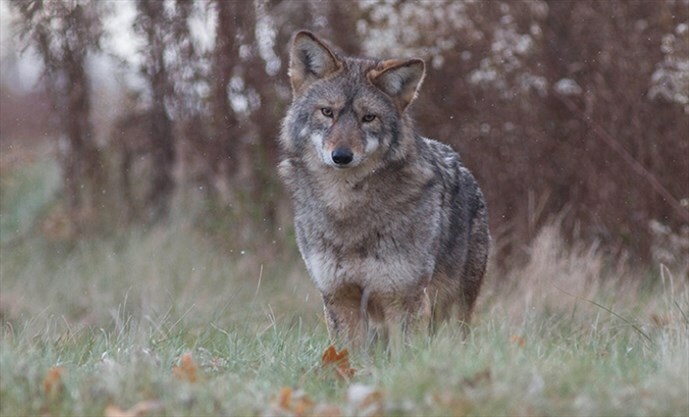 PARRY SOUND — The Parry Sound Nature Club was privileged to host a presentation by Lesley Sampson of Coyote Watch Canada at their meeting on March 21 at the West Parry Sound District Museum. Four conservation and animal-protection groups sued the Trump administration earlier this week over its secretive new policy of approving elephant and lion trophy imports behind closed doors. The new lawsuit targets a U.S. Fish and Wildlife Service decision, outlined in a March 1st memo, to shut the public and scientists out of the process for evaluating the impacts of trophy hunting of elephants, lions and other threatened and endangered species in Africa. The Center for Biological Diversity, the Humane Society of the United States, Humane Society International, Ian Michler and Born Free USA filed the suit in U.S. District Court in Washington, D.C.
A federal court ruled in December that the administration needed to involve the public in trophy import decisions. Instead of complying, Interior Department officials adopted a case-by-case permitting approach that fails to comprehensively consider trophy hunting impacts and severely decreases transparency. The day after quietly finalizing its new approach, the administration announced the first meeting of a pro-trophy hunting council convened to advise Fish and Wildlife on increasing trophy hunting of foreign species. The memo rescinds numerous prior rules on trophy imports, wiping the slate clean of longstanding decisions pertaining to imports of trophies from elephants, lions, and bontebok, a type of antelope. However, the service has signaled that it still intends to rely on the bad science contained in its prior authorizations to import wild animal trophies. This challenging the March 1st memo is being added to a pending court case contesting the administration’s decision last November to lift an import ban on Zimbabwe elephant trophy imports, as well as a decision allowing imports of lion trophies from Zimbabwe to the United States. Polls show that a vast majority of Americans have already expressed their opposition to killing elephants and lions for fun and importing their body parts, but continued public pressure is needed to keep this issue in the spotlight, and to stop a small special interest group from being allowed to perpetuate the threats against these species. The Northern Cheyenne Tribe and a coalition of environmental groups are asking a federal court in Montana to throw out the Trump administration’s decision to remove grizzly bears in and around Yellowstone National Park from the endangered species list — a move that has paved the way for trophy hunts of the iconic animals. Delisting the Yellowstone bears opened the door for Montana, Idaho and Wyoming to allow grizzly bear hunting on vast areas of land. 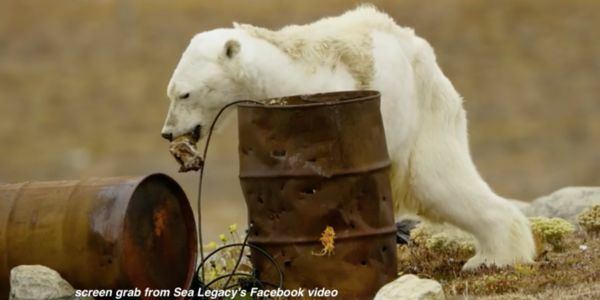 Polar bears are starving to death and heading towards extinction more rapidly than scientists originally expected. Sign this petition to urge the United States to combat climate change and protect these magnificent animals.